Home &sol; Fundrasing &sol; It’s not just one night that lights up winter! Midsomer Norton’s November Illuminated Carnival is not just about one night in the winter where we have a parade through the streets of the town; it’s actually about helping to build a community, raising much-needed funds for local charities and good causes – whilst also having a great time. On Friday, 18th January, the Carnival Association, itself a registered local charity, presented a number of donations to those causes that took part in the 2018 Illuminated Carnival. The now annual Fundraisers’ Presentation was held in the Town Hall to not only present much-needed funds to some very worthwhile causes, but it also gave the Carnival Association the chance to thank those that took part and to discuss fundraising for this year’s Carnival. Just some of the local groups that benefited were Welton Primary School, Westfield Primary School, St Benedict’s Catholic Primary School, St John’s Badgers (Midsomer Norton), St John’s Ambulance, the Carnival In Somerset Promotional Project, Midsomer Norton Primary School, B&NES Carers’ Centre, Limelight, Junior Showtime, Time Is Precious, Merriman Theatre Group, Midsomer Norton Rugby Club U15s, Camerton and Peasedown St John Croquet Club, 2282 Squad ATC, Time 2 Share, Midsomer Norton Scouts and the Fire Brigade Charity. 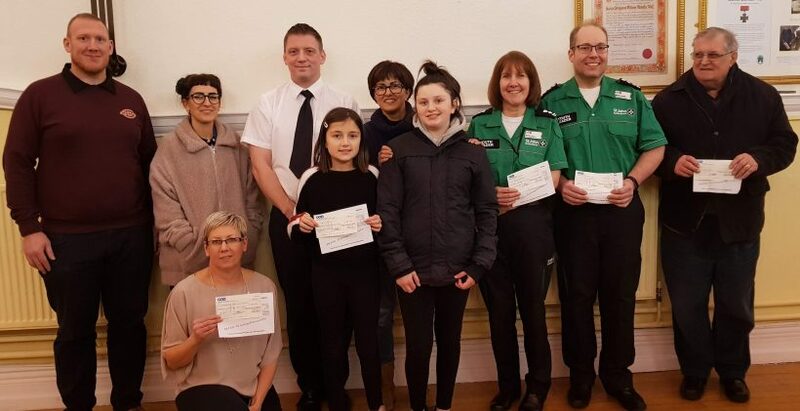 In total, the Carnival Association were able to make donations to over 46 causes, with funds totalling over £5,500 received in donations from last year’s Carnival. This was, of course, only made possible through the generosity of local people and businesses. As well as looking for businesses to partner with us for this year’s event, we are also actively inviting other local causes to fundraise with us.